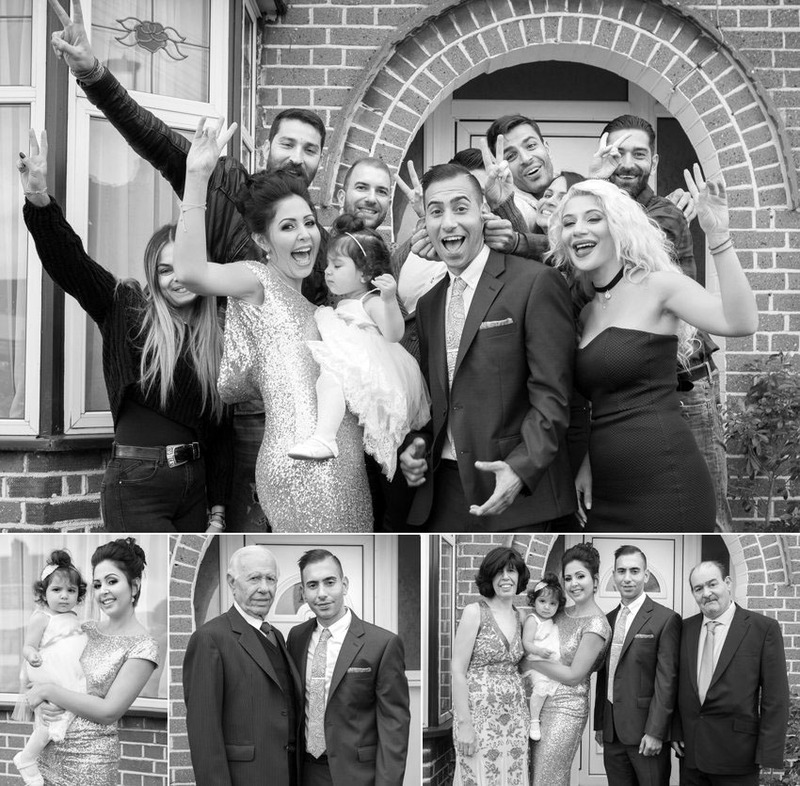 When both the bride and groom come from a British – Greek Cypriot background, you know the celebrations will not be quiet, and guests invited to attend Andrea and Adam’s wedding at Twelve Apostles Greek church certainly got into the spirit. 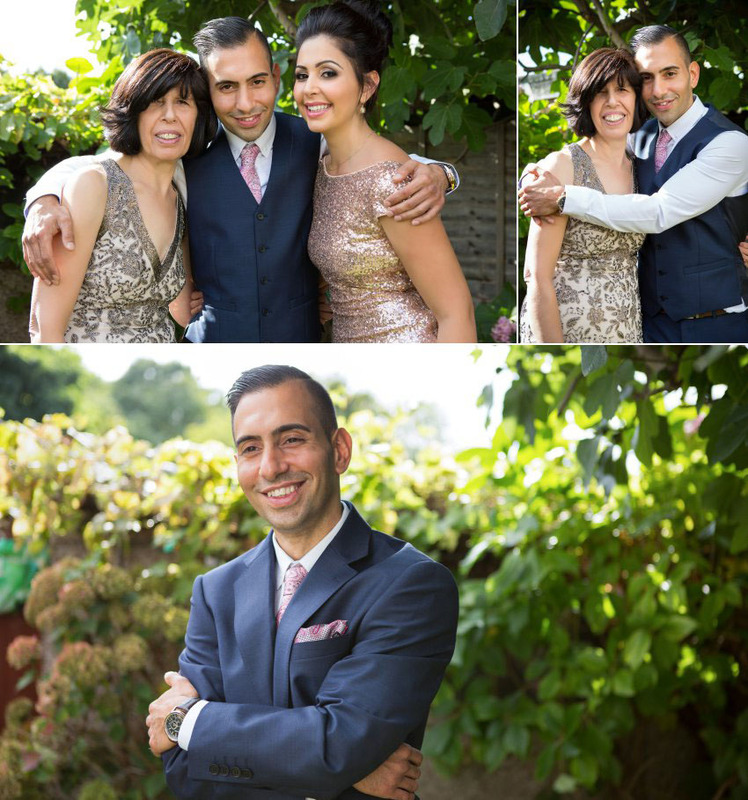 Even though I was with the couple from the time they were preparing until well into the night, the happiness generated by the couple, their family and friends infused me with energy and made it an enjoyable experience for me as well. 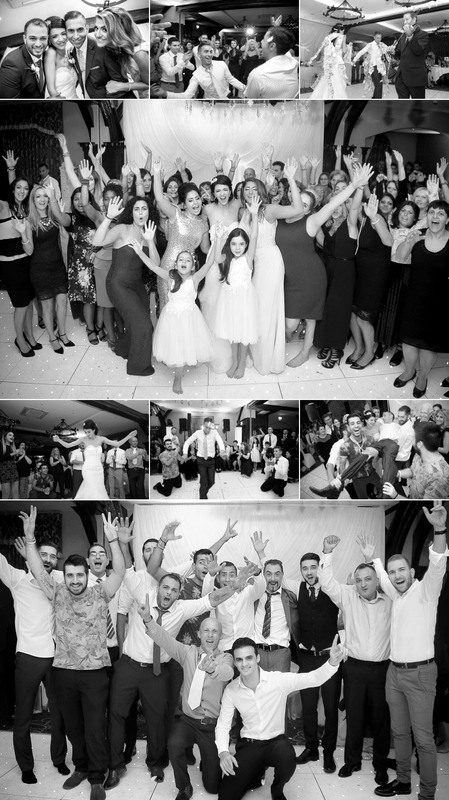 Greek-Cypriot wedding traditions begin way before the couple reach the church, and almost always include music. It was a lively affair as Adam prepared to become a groom with the help of his koumbaros, or best man, who gave Adam his last shave as a single man to the accompanying sounds of a violin. The men danced before the customary red scarf (representing fertility) was passed around Adam’s waist by family and friends. Once Adam was ready, everyone adjourned to the garden for a celebratory glass of fizz, the women’s finery sparkling in the sunlight. Andrea’s stolisma preparations were more subdued than Adam’s but no less beautiful. Music is always a key aspect of this custom, and there are some beautiful photos of Andrea’s family and close friends passing the red scarf around her waist and dancing to the traditional music. I enjoy witnessing the way customs like these involve those close to the couple in their wedding day, allowing them to demonstrate their love and support for the bride and groom as they start on the next chapter of their lives. 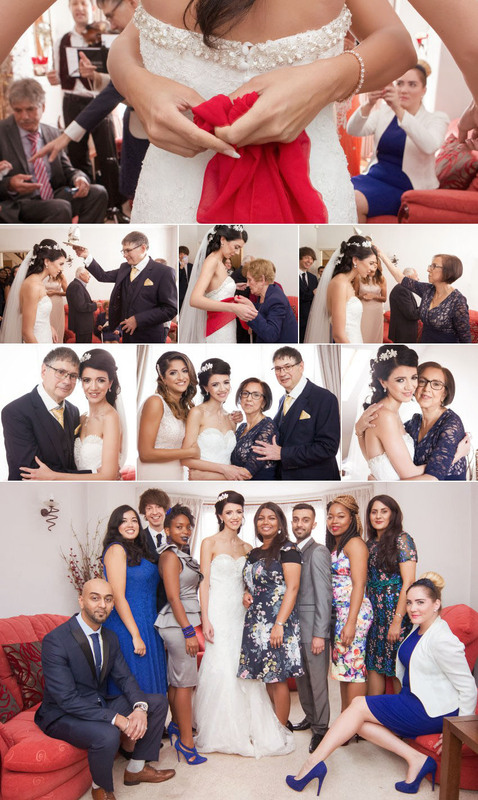 After lots of family shots, it was time to head for the church where everything was ready for the ceremony. 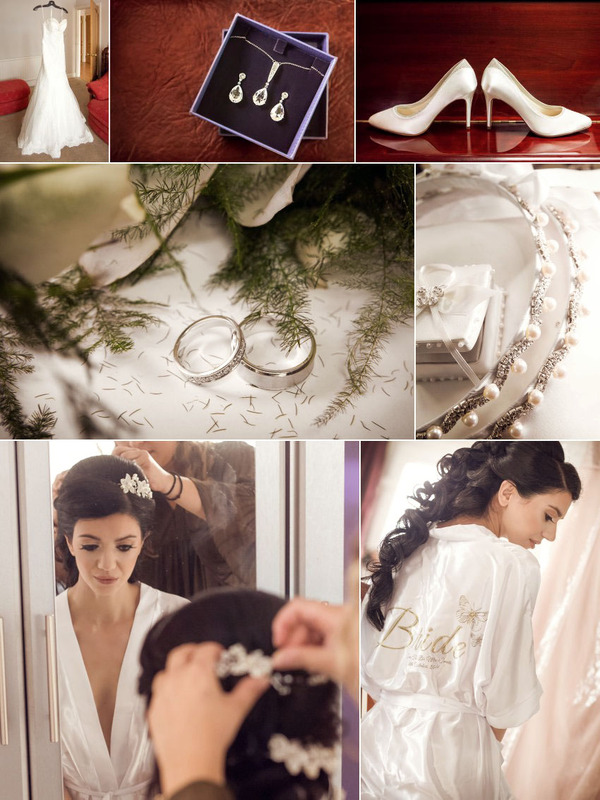 As with any religious wedding, Greek Cypriot weddings are steeped in meaningful tradition, and it was, therefore, essential to include items like the wedding crowns and ribbons in the couple’s wedding album. 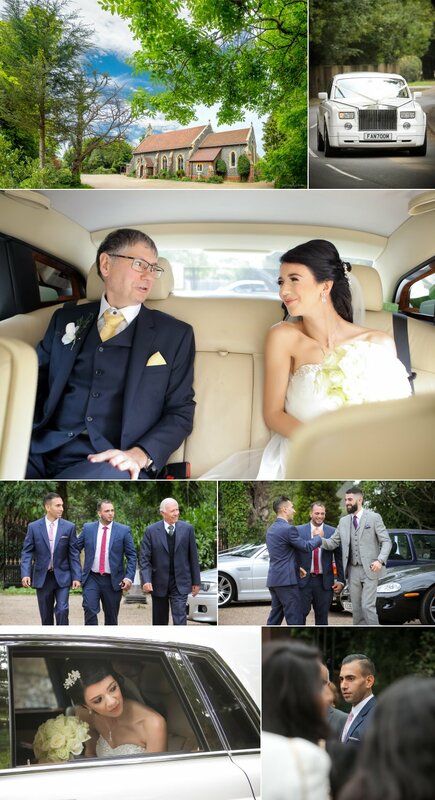 Greek Orthodox churches, like the Twelve Apostles Greek Church where the couple tied the knot, are very decorative with lots of colours and gold accents, and Andrea made a very elegant bride as she walked down the mosaic tiled aisle. The ceremony itself was full of symbolism and sentiment, giving Andrea and Adam a firm base on which to build their married life. A lovely green area next to the church was the setting for the post-ceremony photos. This time is possibly my favourite part of any wedding photography as I can see any tension which may have been present before or during the ceremony evaporate in light-hearted giggles, and can almost pinpoint the moment where they realised that yes, they are actually married! It was not long before everyone was revving up for a raucous evening as the reception part of the wedding at the Royal Chase Hotel got underway. The post-ceremony celebrations were expertly organised by Samantha Soterio and featured, naturally, lots of dancing with George DJ Sooty provided the soundtrack to a fantastic night. My sincere congratulations go to Andrea and Adam. 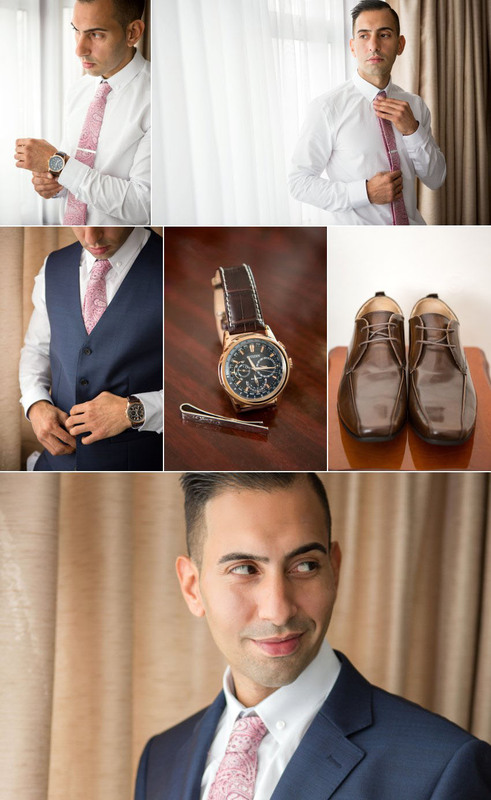 It was a privilege to provide the photography for your wedding day, and to witness the love and support you not only have for each other but which your family and friends so clearly have for you both.